Arvada is one of the liveliest suburbs in Colorado. With summer concerts, world class recreation, and 230 miles of trails and bike lanes, this city is equipped to keep you fit and happy. Arvada boasts a population of almost 110,000 people living among nearly 45,000 housing units. 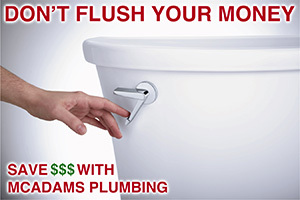 McAdams Plumbing, Inc. is your best choice for plumbing repair in Arvada. Let’s take a look at what services we can offer you. Leaks can be caused by many different things. From broken pipes to failed shut-off valves, water damage can come from many different places. McAdams Plumbing can track down the source of your leak and get it fixed as simply as possible. It’s best to have leaks addressed right away. If ignored, a small leak can turn into a major flood overnight. The best way to protect yourself from flood damage is with a WaterCop Automatic Water Shut-Off Valve. McAdams Plumbing, Colorado’s certified WaterCop installer, is excited to offer you this great product. 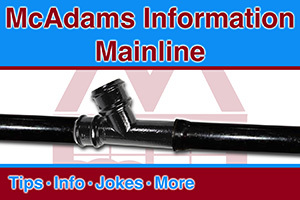 The WaterCop is installed on your main incoming water line in the home. Wireless sensors are placed around the home and when they come into contact with water a signal is sent to the WaterCop which shuts all the water to the home off. This can save your home from thousands of dollars in water damage. 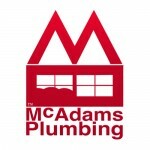 Thank you for taking the time to learn about McAdams Plumbing. If we can ever be of service to you, please don’t hesitate to call.